The Fallout 76 map of Cranberry Bog appears to be located in southeastern West Virginia. Editor’s Note: The second installation in John Barton’s exploration of the Fallout 76 map of West Virginia begins here with an investigation of what developers of the upcoming video game have named Cranberry Bog. 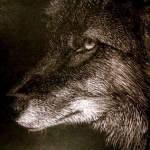 Sign up for the FalloutWV Newsletter to follow along. Read the first part of Barton’s map exploration: Mapping Fallout 76: The Mire. 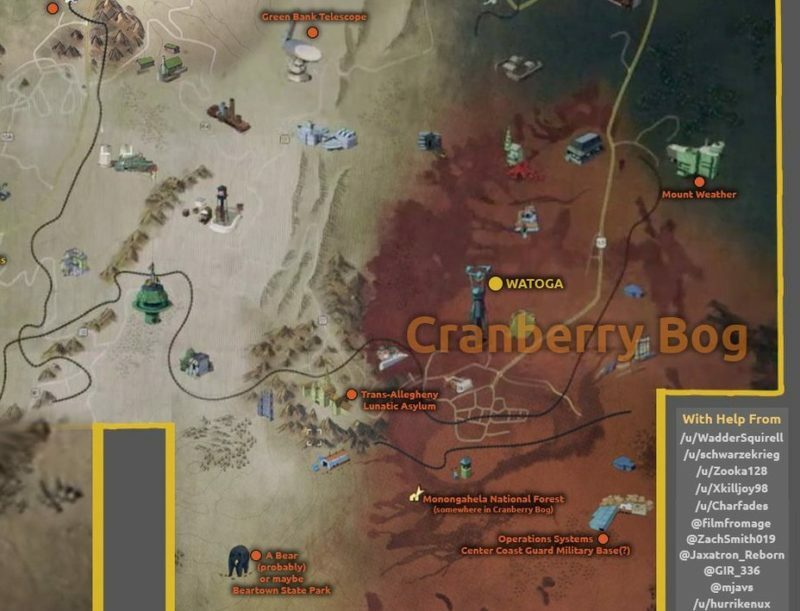 Cranberry Bog is located in the southeast corner of the Fallout 76 map. One of the smaller areas on the map, it contains 14 visible markers, only three of which have been identified so far on Oscerlot’s fan map —Watoga, the Operations Systems Center at the Coast Guard Military Base, and a small cabin identified as the Monongahela National Forest. In West Virginia, the southeastern part of the state would include Monroe, Webster, Randolph, Greenbrier, Nicholas, and Pocahontas counties. Many of these include locations present in other parts of the map — The Greenbrier Hotel in Greenbrier County. Summersville Lake and dam in Nicholas County. The Green Bank Observatory is in Pocahontas County. Helvetia is in Randolph County. It’s likely, but not certain, that other locations from those counties are nearby. Which leaves Monroe and Webster counties to explore for possible in-game locations or inspiration — not to mention the Cranberry Glades themselves, the locations for which the Fallout area appears to be named. When I first saw the map for Fallout 76, I assumed The Forest area in the western central part of the map was the Monongahela National Forest. Yes, it’s in exactly the wrong side of the map compared to a map of West Virginia, but there’s only one national forest entirely within West Virginia. Of course, 12 million of the state’s 15 million acres are forested, so perhaps The Forest could be anywhere that largely escaped nuclear devastation (or found a Vault-Tec GECK?). True, the Cranberry Glades are part of the Monongahela National Forest, but I wondered if maybe Bethesda thought they deserved their own area separate from the Monongahela? 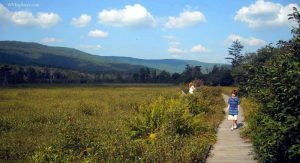 The Cranberry Glades is a bog of nearly 1,000 acres. Formed after the last Ice Age, they include five peat-moss bogs, the largest of which can be up to 10 feet thick. They contain many unusual plants and animals, including flying squirrels, two plants named for rattlesnakes, and two carnivorous plants — the sundew and the purple pitcher plant. The possibilities for wilderness discoveries in-game are interesting to say the least. Monroe County contains a number of old saltpeter mines from the pre-Colonial period and is notable for the discovery of the 35-carat Jones Diamond and the fossilized remains of Megalonyx Jeffersonii, the official state fossil. If you saw what looked like a giant irradiated sloth on the Fallout 76 trailer, that’s likely the Megalonyx. The Alderson Federal Women’s Prison Camp is also located here. Webster County, named for Daniel Webster, hosts the annual Webster County Woodchopping Festival. As for in-game locations named on Oscerlot’s Fallout 76 map, Watoga likely refers to Watoga State Park, the state’s largest state park at more than 10,000 acres. Built by the Civilian Conservation Corps in the 1930s, the park is a national historic district that contains dozens of buildings and structures constructed by the corps, many of which remain in use today. The Operations Systems Center is an actual Coast Guard military base in West Virginia, but it’s found in Martinsburg in the Eastern Panhandle not near the Cranberry Glades. The center is a tech hub for Coast Guard operations and would make an interesting home base for the Brotherhood of Steel — or its pre-cursor. Small cabins in the national forest are frequently referred to as ranger cabins. For those who missed finding an armor to compare to NCR Veteran Ranger Armor in Fallout 4, the Monongahela National Forest has four separate ranger districts. After a nuclear holocaust, what might forest rangers take it upon themselves to patrol and preserve? It’s important to note, as u/K_eth pointed out in an earlier post on Reddit, the distance between an area and Vault 76 likely indicate the difficulty area of the location. Cranberry Bog is on the opposite side of the map from Vault 76 indicating that the danger level here is high. I’m looking forward to watching videos of unsuspecting players explore the bog for the first time and find themselves attacked by Mega sloths, carnivorous plants, and flying squirrels.